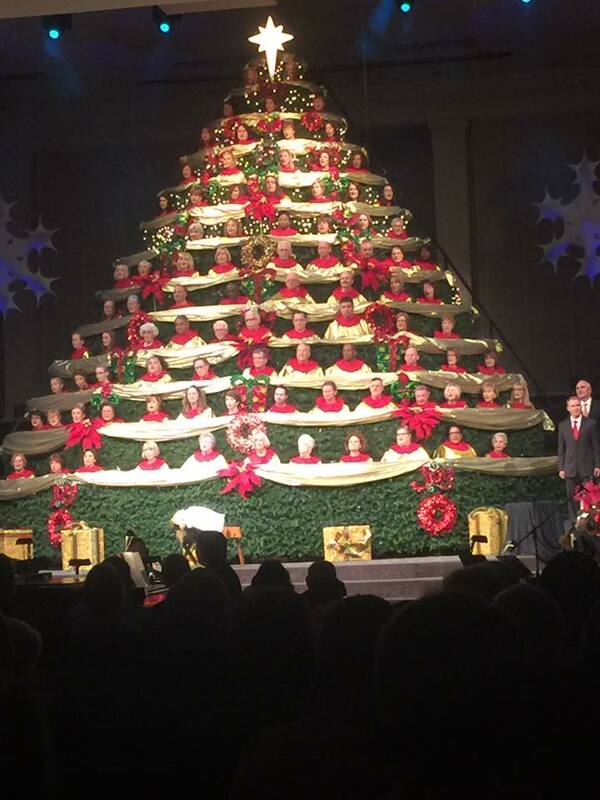 This weekend, the girls and I are singing in the Living Christmas Tree at our church. Soccer Girl and Ballerina are standing in the tree. I'm on the risers next to the tree (not pictured). Sassy and Little Red are singing in the children's choirs during the performance. It's an amazing production. 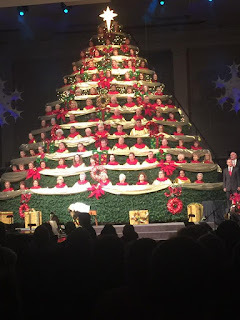 Aside from the vocalists that you see in the tree, there are an orchestra, 3 children's choirs, a drama of the nativity,and dozens of technical people running the sound, lights, and cameras. I love that we do this every year. (It's the 23rd year of the Living Christmas Tree.) It's a great way to kick off the Christmas season with a reminder of what Christmas is all about. It's about the birth of Jesus - how God sent Him to be our substitute, to take the consequence we all deserve for our sins. It's not about an elf on a shelf. While those things aren't necessarily bad, they are when they take our focus off of Jesus. So this Christmas, enjoy your time with family and friends. Enjoy the decorations and the food. But most of all, take time to thank God for His gift to us. Strengthen your relationship with Jesus. If you don't have a relationship with Him, talk to someone who does; they'll be happy to share with you how you can have one as well.